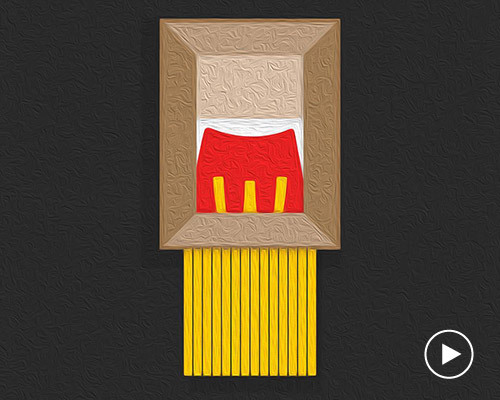 one week later and the artwork has evolved to become a popular moment in art history. oh, and more valuable. whilst many saw the event as an anti-capitalist statement, events thereafter have a strong stench of money. after the gavel fell on the painting, an anonymous attendee hit a radio-controlled device that dropped the piece through a concealed shredder. one mural is an adaptation of jacques-louis david’s painting of napoleon. another depicts a pair or rats whose view is directed at the iconic eiffel tower. 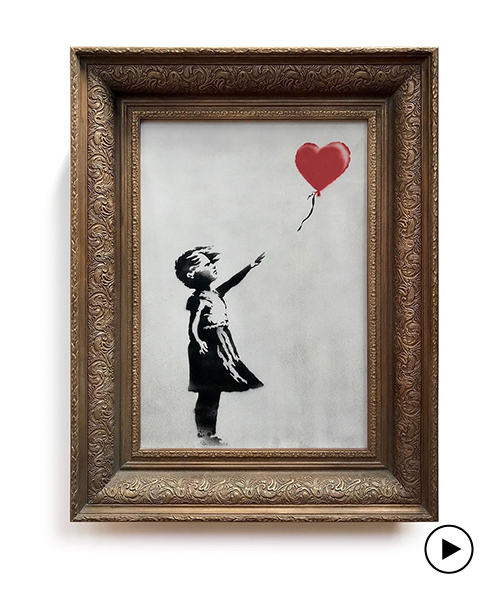 banksy places his artwork on the center's wall, creating an unofficial collaboration with the gallery to welcome visitors into the show. in the coastal english town of dover, a major transportation hub for ferries arriving to and from france, banksy has completed his latest urban artwork. steps away from the controversial west bank separation barrier, the hotel includes nine unique rooms and one presidential suite, with facilities like a colonial period-themed piano bar, and an on-site art gallery. from the forbidding signage 'welcoming' incoming entrants and surly staff who wish visitors 'a dismal day', to the remarkable artworks exhibited by some of the art world's leading creatives, salzman explores the site with an open-mind and keen aesthetic eye. the park's official site warns of uneven floor surfaces, imagery unsuitable for small children and swearing. 'bricksy' recreates the popular urban works of out of colored blocks, piecing together the hand-crafted scenes with tiny interconnecting parts. banksy's controversial 'better out than in' 31 day 'residency' in new york city has officially come to a close with an inflatable 'banksy' tag on the long island expressway. banksy has wrapped up day 25 of 'better out than in' with an installation in NYC featuring a grim reaper driving around in a bumper car. 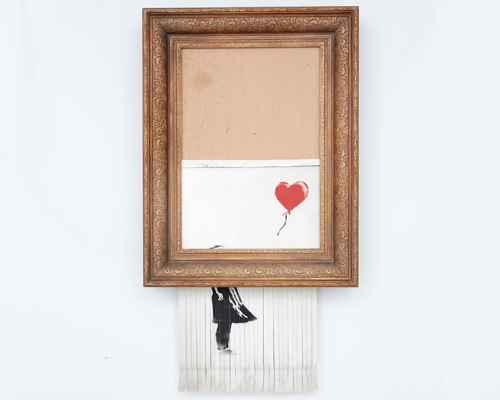 banksy takes his art to the streets of new york city, presenting new work everyday, for 31 days. 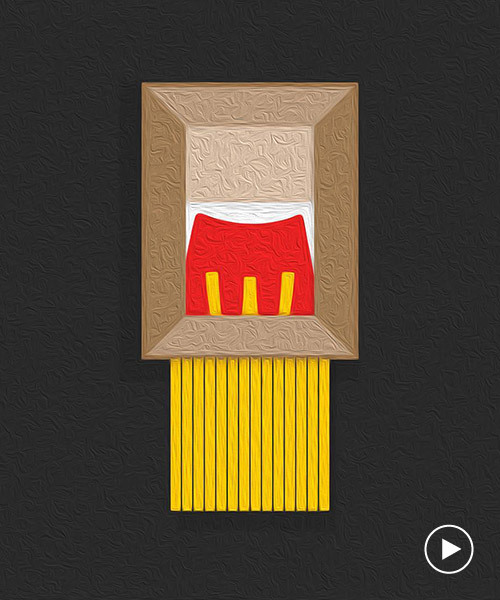 the artwork sees six well known pieces of the famed street artist come to life through GIF art. 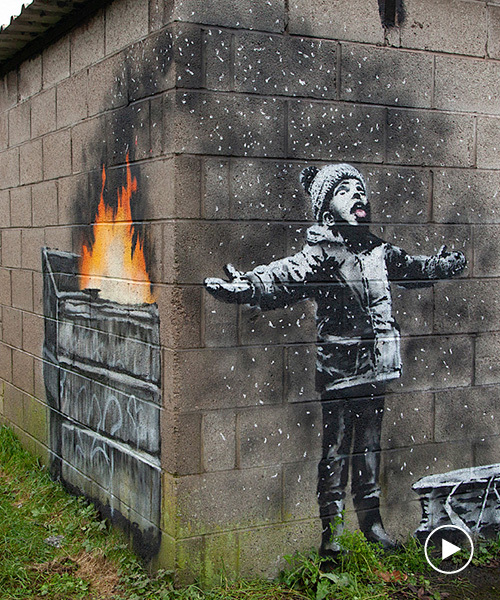 banksy produces two new pieces commenting on the 2012 london olympics. 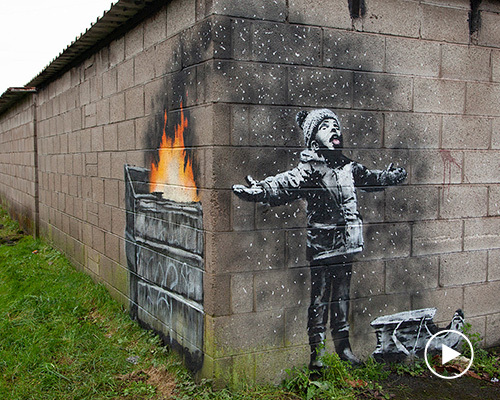 the photographs capture the re-enactment of banksy's famous works using real people to emulate the street artist's original scenes. vandalizing a statue of a priest by sawing off its face and replacing it with an arrangement of blank tiles, the now 'pixellated' visage stands to be a comment on recent child abuse crimes perpetrated by the church. 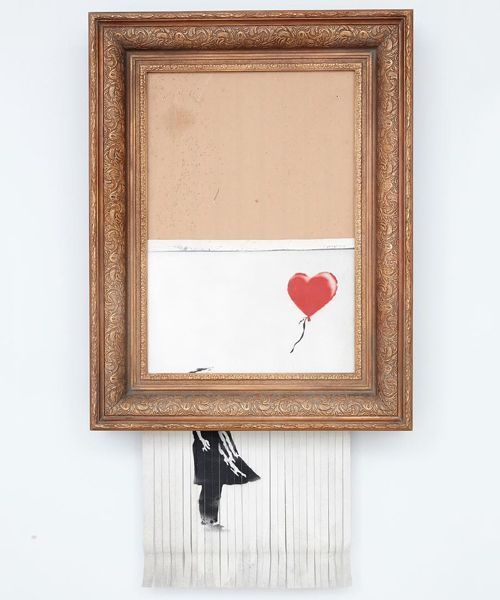 evolving throughout the course of the exhibit, the banksy gallery features stencils of iconic works as well as versions of outdoor interventions, sharing what previously had only limited exposure before being removed. while in los angeles, designboom visited 'art in the streets', the first major museum survey on street art since its beginning in the early 1970s. the vandalized billboard that depicts a cocktail drinking mickey mouse wrapping his arm around a scantily clad model, with minnie watching from the side, has been taken down by the billboard owners CBS outdoors who have now claimed ownership to the banksy art work. 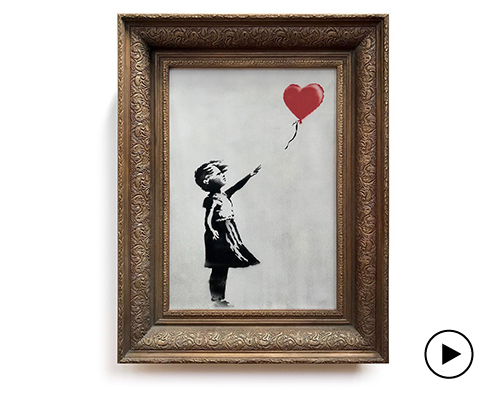 ten original works of the street artist, including 'save or delete jungle book', will be sold today, in a showcase that also features pieces by shepard fairey and futura 2000.
banksy's latest handiwork has him on the street. the notorious street artist from bristol has gotten himself into a graffiti war, after painting over a 24-year-old mural painted by fellow street artist robbo, in 1985.